Wool Socks (plenty) Cotton NOT recommended! NOTE: bedding and towels ARE provided, but you are welcome to bring your own towels or pillow if you are sentimentally attached or need the lingering scent of your wife. A removable water bag is ideal as we tend to freeze the bags half full of water overnight so that we’ll have cold water all day. If you are not familar with the use/need of hiking sticks, let me know. Many guys who opted not to bring these have regretted it or ended up buying expensive ones. Though there have been a few who didn’t use them, I highly recommend it. Ultimately it is up to you, but they save your ankles, prevent falls, and shift a lot of pressure and wear and tear from your feet/legs to your arms which greatly reduces soreness on long hikes. Again, this is HIGHLY recommended. The few guys who have not brought a camera have regretted it. Also, I would bring the best quality camera you can get your hands on. 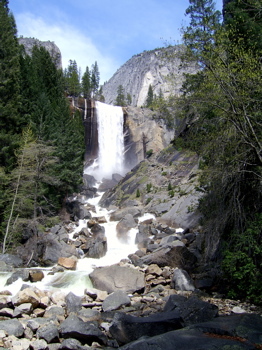 Yosemite is the most photographed location in America and there is a reason! Cell phones are allowed for safety, but no calls are allowed other than contacting your wife, but even to many calls home is discouraged. The purpose of this retreat is to “unplug,” the more this is honored, the better the Summit will be for you. All meals from Sunday dinner through Thursday breakfast are included, but not specialty drinks or snacks, as tastes and interests are too varied. Drinks and snacks you will buy on the way to Yosemite on our Wal-Mart stop. Lunch bags and zip-lock pages will be provided when we pack our lunches, but you are welcome to bring a lunch bag/case with you to protect your food better in your backpack. Water bottles or water bag backpacks are highly recommended. You will need to drink a lot of water. As mentioned above, each guy needs to have a compass and whistle. We will each get a map once in Yosemite of all the hiking trails. I will also be bringing additional survival items that will be disbursed throughout the guys for carrying, such as bite/poison meds, first-aid, matches and other similar items. There is little to very little cell coverage in Yosemite Valley and where there is, it is sporadic. There is NONE at the lodge. However, a phone is available at the lodge, but will require an 800 Calling Card. Other than emergencies, calls will be restricted to wives/family. Cell phones are allowed on the hikes for emergency use only. We are turning off the outside world; but having phones available for emergencies is simply wise, and calling our wives is simply kind. Work – of any kind! Seriously. Leave it behind. Do NOT bring your Laptop. There WILL BE a computer at the lodge for the SOLE PURPOSE of downloading your digital pictures from the day. Each attendee will get a download of their photography, and of the others willing to share. A highlight video will be made from all the photography of the group. It will be free to attendees and then made available on Kidology.org for others. Smartphones? Obviously, in today’s day and age, most people have smart phones equipped with Internet, e-mail, etc. While cell coverage and Internet coverage is weak, you will asked to turn off, and even disable if you need to, to avoid the temptation so that you can truly unplug from work. Communication with your spouse can be done with an evening phone call. There is no need for e-mail. Remember, there once was a time when it didn’t exist. Remember? Work – worth mentioning again – that is the whole point of this retreat, you are not the sum of your work, you are a child of God and this is a retreat for reconnecting the man with God, not the worker. UPDATE for the iPad/Tablet era. If you bring an iPad/Tablet, it should ONLY be for photo use, as with your phone, you should delete or disable social media, email or other work related apps. You cheat only yourself if you “sneak” work via a tablet. This week is a gift from you to God – don’t insult your Savior by bringing your work with you. Lay it down. Give yourself fully to Him for this week. 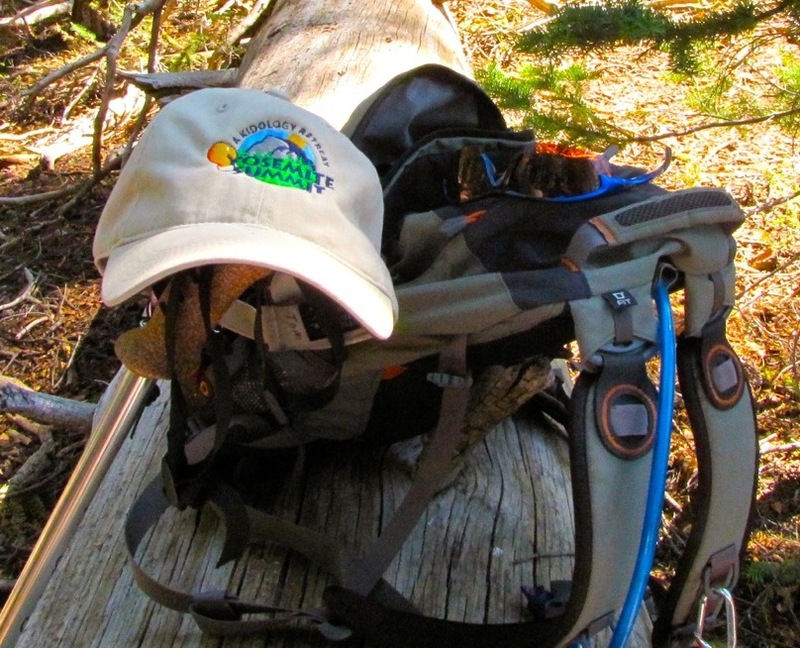 NOTE: Once registered, attendees will be given access to a private Yosemite Summit Facebook Group where we will discuss packing in more specific detail as well as other event details as we get to know each other.